Urgent Backup is an easy-to-use program that allows you to backup your data. The software copies files and folders from one location to another on the same drive, another drive, CD-ROM, DVD, ftp server or across the network. You can set up projects that describe the source location, the destination location, and the frequency at which you want to backup the files. As you know, now that we have been using personal computers for some time, the value of the information maintained on a hard disk is becoming higher than the cost of the system. This fact is important for business people that work with important documents and reports on their computers, as well as for students doing homework or writing term papers; for journalists writing articles, authors composing their literary works, or programmers developing software. Even for the average user, who does not keep commercially valuable documents and projects on the computer, the value of domestic records – photographs, videos, children’s drawings – is extremely important. It is unlikely any user would be happy if he suddenly lost all the data on his hard drive. A failure of the operating system, a sudden drop of electricity, destructive activity by computer viruses, deletion or corruption of materials as a result of unsanctioned access to your system. There is also a large number of dangers unconnected to the operation of the equipment and software. Your files might be accidentally deleted by a child interested in running his fingers along the keyboard, while a blown battery can wash the computer with water and cause the system to become worthless. There is a large number of potential dangers, and all these in one second could reduce many days of work to nothing. Everyone knows how important it is to backup critical data. However, we often postpone this procedure because of the time and effort it requires. Unfortunately, we start to think about regular backups only after a hard drive crash or a virus attack. What is the solution? We look forward to receiving your feedback on the new release. In order to obtain a completely functional program, you must register it and pay the fee. The Registration fee is $39.95 USD. Synchronize data between your local PC and a database on your web site, between your main and remote offices or remote affiliates. URGENT! It’s time to make a backup! Urgent Backup is one of the fastest known backup solution available today. Still waiting? Download Urgent Backup now! Our software allows you to copy, upload, download data automatically on schedule from your PC to various storages – network disks, CD/DVD, USB Flash Drive, remote FTP servers, etc. The program can either mirror your data "as is" or create archived files or directories for copying. 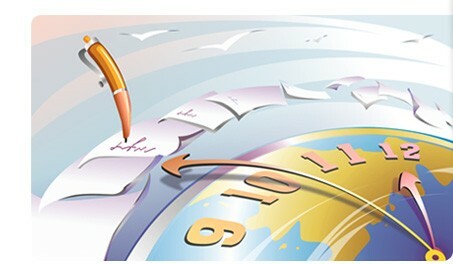 The user can customize the method of naming backup files adding, for example, the date of archiving to file names. Urgent Backup uses the zip algorithm to archive data. It is fully gzip compatible (which is important for GNU utilities users and in cross-platform environments.) A built-in task scheduler helps you to build a queue of automated backups, ftp uploads, ftp downloads, or run third-party utilities to process the data before or after copying/archiving. So how can you safeguard electronic materials that you keep on your hard drive from various types of unexpected misfortunes? Do you have valuable data and want to be completely sure it's safe? Do you want to transfer your data over the Internet automatically, download or upload to your FTP server on schedule? Do you need your data to be synchronized automatically on several computers? Do you get tired of archiving your data manually? You have no time to gather files scattered in various folders, drag and drop them into your archiving software and invent comprehensible file names? If you need software that can do the above and more, and need it to be simple? One of the best and most effective solutions is a backup copying and data recovery program. Of the wide array of similar products Urgent Backup for Windows is distinguished by its security. Urgent Backup is very easy to set up and extremely easy to use. You do not have to have any special knowledge or particular skills, you just need to install the program, set up the time schedule for copying the information from your hard disk, and indicate which disk you are using for storing the backup copy. And that’s it! From that point on, you won’t have to be afraid of a computer crash or any other kind of problem. In the event of data loss you will not have any difficulty restoring the lost information, and this can save not only time, but a great deal of money as well! Urgent Backup can be used to synchronize data between your work and home computers or between computers located in different offices. You always are able to continue any project you are working on remotely from your primary work site. The wealth of possibilities of Urgent Backup, the convenience of quick setup, the ease of operation and maximum security are what distinguish this program from many similar products.